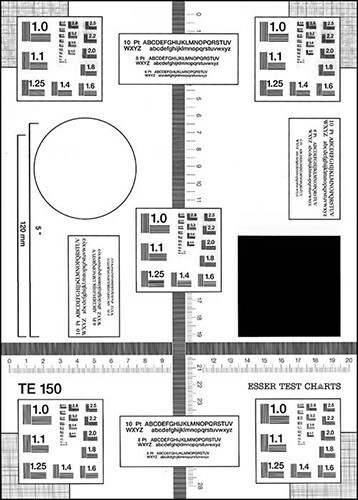 [TE150] Universal Rotative Scanner Chart with ISO pattern No. 2은 스캐닝 장치의 이미지 품질 평가를 위해 설계되었습니다. 테스트 차트는 다양한 패턴과 격자로 구성됩니다.